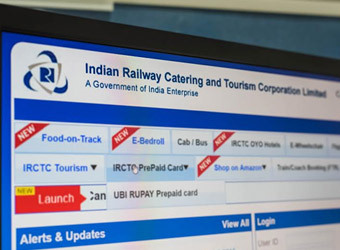 Gurgaon-based mobile payments company MobiKwik has partnered with Indian Railway Catering and Tourism Corporation (IRCTC) to launch e-cash payments for tatkal bookings. The company said with its services at IRCTC, users can pay within two seconds to buy tatkal tickets. The MobiKwik wallet, however, would have to be preloaded with the desired amount. "MobiKwik collaborated with Indian Railways to digitize payments on the IRCTC app and IRCTC FoodOnTrack app this year, and now we are powering payments for tatkal online that will help users book tickets almost instantly," MobiKwik co-founder Upasana Taku said in a statement on Thursday. MobiKwik said instantaneous e-cash payments will help tatkal online in managing the load of over a thousand ticket bookings per minute. The service will also help users in ensuring that their bookings do not get rejected due to payment delays. On an average, over 15% daily ticket bookings for Indian Railways happen under tatkal, the statement said. In September, MobiKwik's rival Paytm had also collaborated with IRCTC to allow booking of train tickets through its platform. The Indian Railways may soon introduce the booking of unreserved tickets through mobile wallets and for this the Railways is in talks with Paytm and Jio Money, which is a part of Reliance Jio Infocomm Ltd.
From the IRCTC app, one can make payments for regular train booking through MobiKwik, PayUmoney, OlaMoney and Paytm, apart from the regular mode of payment. In August 2016, NASDAQ-listed South African payment solutions and transaction processing company Net1 UEPS Technologies Inc. had signed a subscription agreement with India's digital wallet firm MobiKwik. As part of the partnership, Net1 invested $40 million in MobiKwik, and integrated its Virtual Card technology across MobiKwik wallets. To improve commuting experience for millions of travellers, IRCTC has taken several initiatives lately, which include travel insurance, upgrading the retiring rooms, among others.